You know how the saying goes: The couple who spend July 4th together stays together! 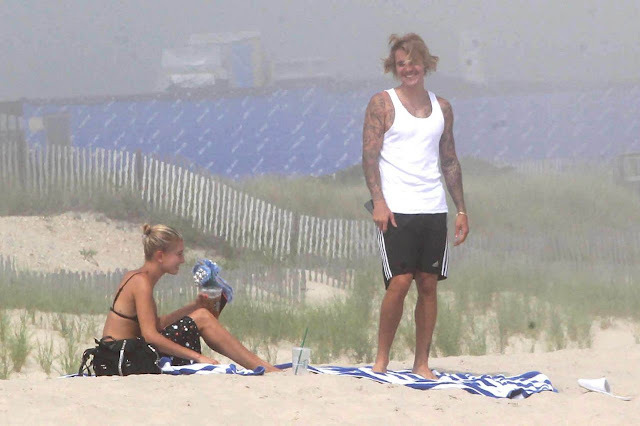 Actually that is not true at all (see: Hiddleswift), but whatever-Justin Bieber and Hailey Baldwin spent the day together and it was adorable. The relatively new couple seem to be joint at the hip, and were spotted chilling on the beach in the Hamptons over the holiday. Obviously, all that really matters here is Justin's free-flowing lion's mane of hair, but their shared giggles are also pretty cute.